Patients can have all sorts of objections and challenges to doing clear aligner treatment. Here are some suggestions for addressing these issues so that your patients can experience the benefits of clear aligners. Other than the temporary discomfort caused by tooth movement, a well-fitting aligner will only be uncomfortable if there is a rough edge, which can be smoothed at home with a fingernail file, or at the office by an assistant. Some patients develop a temporary lisp when they first try aligners, but this usually goes away very quickly. A new and beautiful smile should be a highly valued aspect of one’s appearance and everyone must determine that value on his or her own. Since orthodontic treatment is considered a time and materials intensive procedure, it is reasonably priced in a range where most patients appreciate the opportunity to make payment arrangements with the practice. “I don’t like the little bumps (engagers)"
In many cases, the number of engagers can be reduced. However, if the patient requests to avoid the use of engagers altogether, they must accept that the treatment may take longer and specific movements may be more difficult to accomplish. If a patient refuses IPR, the doctor must consider other methods for creating the required amount of space, such as expansion or extractions. You can explain to the patient the difference between IPR with a handpiece and manually with a diamond strip. Some patients are apprehensive because of the dental handpiece and may accept other manual approaches to IPR. 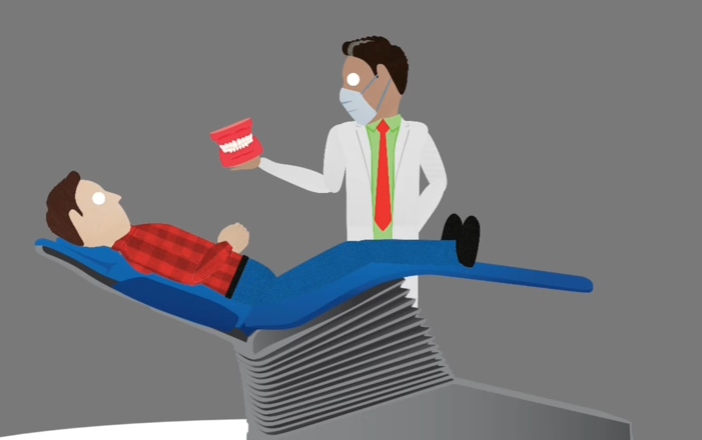 “I don’t think I can wear them 22 hours a day"
If the patient can't or won't wear the aligners 22 hours a day, both the doctor and patient must agree upon how many hours of wear will be acceptable to each party, with the understanding that the treatment may take longer or be less effective. If an agreement cannot be made, they can consider other methods for correcting the malocclusion, such as traditional braces. Pregnancy Except during periods of nausea and vomiting, a pregnant woman can wear her aligners without any negative consequences. Patients who travel constantly (military, jobs that require travel, college students, etc.) When it is inconvenient or impossible for the patient to be near the doctor’s office for visits, the patient can continue to wear stages of the aligners until they can return for a checkup or delivery of new aligners.